Head injuries should always be taken seriously. Although much of the concern about brain damage currently surrounds professional, amateur, and school sports, two of the leading causes of traumatic brain injury, or TBI, are falls and vehicle accidents. Johnson & Biscone, P.A. has an extensive history of helping clients who have suffered brain injury as a result of negligence, including car crashes, unsafe conditions resulting in falls, and more. Call 405-232-6490 for a free case review. Our law firm serves clients throughout the Oklahoma City area, including Edmond, Norman, and nearby areas of Oklahoma. Head injuries can be “open” or “closed.” Open head injuries occur when an object penetrates the skull into the brain. In a closed head injury, the brain sustains damage inside of the skull. Open head wounds are obvious, but closed head injuries are dangerous because the nature and extent of the damage isn’t always apparent. Another type of injury, anoxic or hypoxic brain injury, happens when the brain is starved of oxygen. One of the most common events leading to oxygen deprivation is negligence in the delivery room. When doctors, nurses, OB-GYNs, and other staff fail to take proper precautions and follow procedures, babies can suffer a host of birth injuries, including cerebral palsy, because their brains don’t get enough oxygen. Traumatic brain injuries can affect all aspects of life, from everyday functioning to personal relationships to the ability to perform at work. 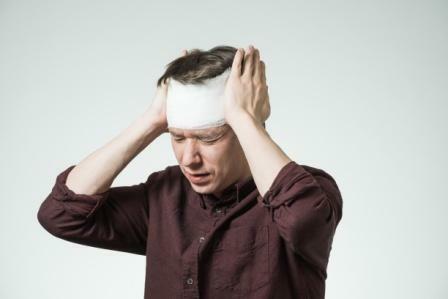 If you suspect that you suffered a brain injury, or you’re concerned about a recently injured love one, contact Johnson & Biscone to discuss the next steps of building your case. Why Hire Johnson & Biscone, P.A. for Your TBI Case? Attorneys at our law firm have seen the devastating impact of brain injuries on our clients and their families. We have the experience to represent your best interest and the compassion to care about what you’re facing after the accidents. Call Johnson & Biscone, P.A. at 405-232-6490 for a free, no-obligation review of your case. 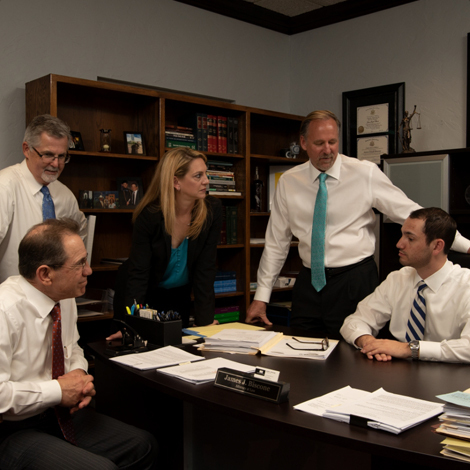 Our attorneys work with you from the very beginning of your case, and our job isn’t done until the final outcome. We serve clients in Oklahoma City, Edmond, Norman, and nearby areas of Oklahoma.